Till today the Northeast of Brasil suffers under poverty, dicrimination and child labor. Especially in the back country and the urban centres. Thats why it roses up crime, violence and corruption as in the rest of Brazil. The low economic development, the lack of infrastructure, the large income inequality, the unfair land ownership distribution and the recurrent droughts are also a current problem. Therefore, it is very important to provide education to children, to bring them out oft misery. 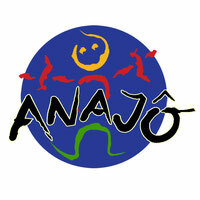 Anajo is a preventiv Projekt of the associcao Anajo from Guarabira and also of the children’s found Anajo Austria Feldkirch. The Projekt arose from the Idee, children and also Young People out of a particularly disadvantaged Region Form brasil, to gave them a Chance for a better Future. Since the year 2000, supervised our Projekt more than 80 children and Young People, from Guarabira (Paraiba) in the northeast of brasil. The Education in brasil is for free, nevertheless much Kids even don’t have time for School. They have to take care of their own livelihood and also of the livelihood of their Familys. But only with good education, the Kids can break out of the vicious circle, of poverty and crime. That’s the reason why it is very important to us (Associao Anajo Guarabira and the children's Fund Anajo Austria) to gave them an access for Education.